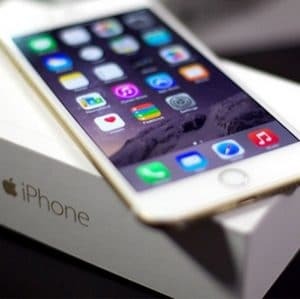 Prevent your iPhone from the zero-day vulnerability named as ‘Trident Flaw’ that has popped up the screen recently which causes your iPhone to be jailbroken. Add an extra layer of security to your personal information and confidential data by encrypting it with military-graded encryption standards. Stream and browse freely and safely; stay updated with the latest news, events and movies and TV titles by accessing the most popular streaming channels like Netflix, Hulu, Fox, ESPN and others. If you like the latest and greatest mobile devices, chances are you’ve eagerly anticipated the release of the next hot new iPhone. However, while iPhones and iPads are great, they only account for an underwhelming portion of the global mobile market. Android still reigns king, dominating roughly 80% of the market, and is run on the vast majority of smartphones and tablets around the world. That’s why most developers devote their attention to coding Android apps. That doesn’t mean that applications aren’t developed for iOS – it just means that more third party applications are developed for Android. When choosing a Virtual Private Network (VPN) tunnel for iOS, this is something to bear in mind. Even if a VPN service doesn’t develop a native app for iPhones or iPads, you can still connect using a standard OpenVPN client, provided the VPN service offers OpenVPN connections – and most of them do. Still, it’s tough finding the best VPN for iPhone in such a crowded marketplace. That’s why we’ve compiled a list of the best VPNs for iPhone, to save you the time, money and hassle of working with a substandard provider. IPVanish is a major player in the VPN industry, and is one of the best VPN solutions for iPhones. I love how much work IPVanish has put into its configuration guides, which consist of high quality images arranged in a slideshow. The guides show you step-by-step how to configure different VPN protocols on the native iOS application. I really don’t like it when VPN services are stingy with their simultaneous connections, or try to upsell users to more expensive packages to use more than one connection at a time. IPVanish does neither, allowing users to enjoy up to five simultaneous connections, which is pretty darn good. There are plenty of other reasons to like IPVanish as well. There are lots of extra goodies thrown in for free, such as the ability to download via BitTorrent without any bandwidth throttling, and a free Socket Secure (SOCKS5) web proxy service. Additionally, IPVanish recently updated its client with a kill switch feature, as well as Internet Protocol version 6 (IPv6) leak protection. The only thing I really don’t like about this provider is the fact that it is based in the United States. ExpressVPN is another of my favorite VPN providers. It is known for consistently providing fast and reliable VPN connections. Like IPVanish, ExpressVPN offers extensive iOS documentation and guides on its website. I prefer ExpressVPN’s guides for its iPhone and iOS app, since the pictures are highlighted to draw your attention to the right area of the screen or button to press. In addition to great support and documentation for iOS, ExpressVPN is a fantastic provider with well-rounded features. Users can connect up to three simultaneous devices at once and ExpressVPN supports all the major platforms. Furthermore, ExpressVPN currently has servers in 94 countries, which will help you unblock data in almost any country with a strong internet infrastructure. I also liked the fact that ExpressVPN is based out of the British Virgin Islands (I tend to distrust digital service companies based in the US on account of the NSA wiretapping scandals exposed by Edward Snowden). However, there is one thing I don’t really care for regarding ExpressVPN: it’s priced nearer the high end of the VPN market. An annual subscription costs $8.32 per month. NordVPN offers two client downloads for iPhone and iPad users: a full-featured app and an OpenVPN connection app. The client files can be downloaded via the App Store. NordVPN’s level of support and documentation is on par with ExpressVPN. There are loads of high quality images that have been highlighted to assist the configuration process. The iOS guides are high quality, although there aren’t as many on the website as there are on the previous two providers’ sites. Still, NordVPN offers decent iOS apps and great online documentation. I love how NordVPN allows users to connect up to six devices at the same time. That makes it a great solution for families, as well as tech-heads who have a ton of devices. With so many features, I would have expected NordVPN to cost more than it does. However, it is currently running a promotion that only costs $3.29 per month with a two-year subscription. Though it’s a long commitment, at that rate NordVPN is even cheaper than PIA VPN (see below). One of my favorite features with NordVPN is its double VPN technology, which essentially adds another layer of protection. Not only is your computer connected to the VPN server, but there is an additional layer of abstraction, since the VPN server has a connection to yet another VPN server. Finally, I like the fact that NordVPN is based out of Panama. 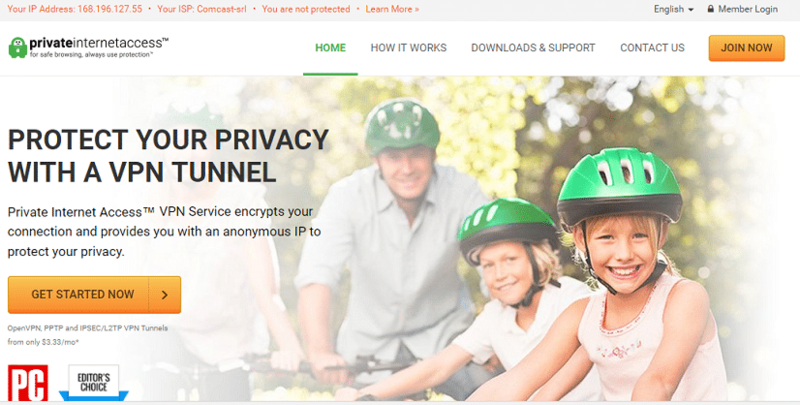 Private Internet Access (PIA) VPN is one of my favorite low cost providers. With an annual subscription plan, PIA VPN costs a measly $3.33 per month, which makes it about the same cost as the NordVPN two-year subscription. As you would expect, PIA VPN supports all the major operating systems, including iOS. Even though it’s so cheap, PIA VPN delivers great value. It allows up to five simultaneous connections, making the monthly per-device cost just $0.67 cents. The client comes with some great security features as well, including AES-256-bit encryption via OpenVPN and DNS leak protection. However, there are two things I don’t like about this service (which may be overlooked given its cheap price). First of all, it only operates servers in 25 countries, although it does operate servers in all the most popular regions. These include Canada, the US, the UK, Europe, Singapore and Hong Kong, among others. Secondly, this service has its headquarters in the US. SaferVPN is available on all the major operating system platforms, so naturally it supports iPhones and iPads. The online documentation covers how to install the application as well as how to use it, but not much else for iOS specifically. That said, the guides are well-designed, and show highlighted screenshots of every step of the installation process. I was exceptionally pleased to see that SaferVPN offers a free trial as well. In my opinion, free trials aren’t offered nearly as often as they should be. A lot of competitors skip free trials in lieu of a money-back guarantee. Although the SaferVPN free trial only lasts for 24 hours, it’s the perfect risk-free way to test out the service, and you don’t even need to enter payment card information to sign up. All you need to enter is an email address and your desired password. The network is of pretty average size, with SaferVPN running over 400 servers in 30 locations. It claims to be the fastest VPN (don’t they all? ), and does provide relatively fast and reliable connections. Users can connect with Point-to-Point Tunneling Protocol (PPTP), Layer 2 Tunneling Protocol (L2TP)/ Internet Protocol Security (IPSec), Internet Key Exchange version 2 (IKEv2) and OpenVPN. The software client also comes with a kill switch. There are plenty of good VPN services that work well on iPhones. However, these five providers are the absolute best. In addition to necessary iOS apps, the top providers also do a great job of producing guides and helpful articles that will assist any configuration, troubleshooting and installation issues that you run into. Personally, I’m a bit biased toward ExpressVPN, as it’s such a top service. That said, IPVanish is a little more affordable, and offers more bang for your buck. Lastly, remember that none of these services are available on iOS exclusively – these providers support all the major operating systems, so you can use them on any device that supports OpenVPN.